Source: IBM 604 Manual of Operation, 22-5279-9 (1954). 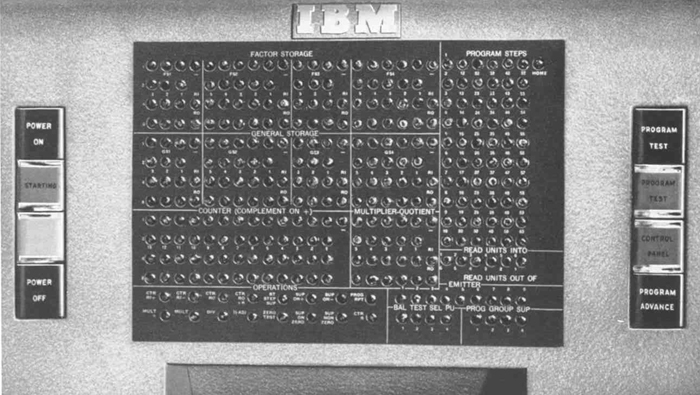 The keys and lights (console) of the IBM 604 Electronic Calculating Punch. Click on the image to magnify to full size.